In the healthcare continuum, third-party payers operate as middlemen between real payers (the employers) and providers by essentially controlling the premium-dollar purse strings. When healthcare providers send claims, issues associated with reimbursements, denials, and underpayments frequently arise. Against this background, Parathon brings a complete, cross-platform revenue cycle management (RCM) system bound to an intuitive cloud-based middleware enterprise solution, creating an efficient financial and operational model for providers to leverage during the claims billing and reimbursement process. “In the relationship between providers and third-party payers within the RCM arena, we advocate for the provider,” says James Dudley, CEO of Parathon. The company empowers providers with technology to adjudicate and price every claim submitted, enabling them to identify and solve revenue, denial, and underpayment issues immediately. Parathon provides a robust, comprehensive contract management solution within its RCM suite, which adjudicates 100 percent of claims for 100 percent of payers. They call this the 100/100 payment compliance standard. “We minimize footprint as much as possible to make our solution less intrusive and disruptive to our clients,” explains Dudley. Parathon’s unique RCM has three differentiating factors—an intuitive contract management system, an end-to-end solution that effectively eliminates RCM bolt-ons, and the Parallel Database (PDB), a proprietary data-aggregator technology. While legacy EMR systems drive clinical pathways, Parathon combines EMRs and RCM bolt-ons to run like an enterprise, binding information from these disparate sources into one PDB. The Parallel Database, a trending methodology in the market, controls patient accounting and the entire administrative systems. Providers gain unlimited control and a holistic view of the organization’s entire financial profile on a single desktop to improve operational efficiency, increase profit, and reduce stubborn cost-to-collect. As hospitals deal with multiple third-party payers, navigating their contracts can be cumbersome due to lack of time and proper tools. This costs hospitals millions as they are not equipped to fully grasp the financial impact of these complex contracts. Parathon’s contract management solution provides intricate, detailed analysis on how contracts impact reimbursement. It helps healthcare providers to understand the gains or loopholes in the contract and undergo multiple modeling scenarios to maximize reimbursement. Parathon’s contract modeling delivers unlimited contract/claims creation options placing the provider on a level playing field with the payer during negotiations. Parathon’s proficiency in fathoming the complexities of the contractual relationship can be highlighted with a case scenario. A large client had to renew their contract with a leading third-party payer claiming an increase of seven percent in revenue. The client brought in Parathon to analyze the proposed contract’s legitimacy. After performing rigorous contract/claims analysis, Parathon determined the proposed terms would result in a one percent decrease in revenue, not the seven percent increase represented by the payer. Parathon helped the client create a counter-proposal, yielding a $4.5 million gain above the original proposal. Parathon uses its expertise in claims billing and reimbursement to transform the decades-old, ubiquitous Claims Clearing House model. Submitting a claim without knowing precisely what should be remitted is unacceptable in today’s competitive market. Parathon is leading next generation Claims Clearing by adding adjudication to the clearing process, empowering providers to advance their remit and collection efforts. This also enables providers to leverage their claims as financial assets that can be factored or sold to financial intuitions at time of billing. Shortening A/R aging from 30+ days to one is both transformative and disruptive. 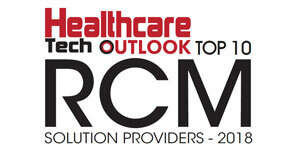 “We have spent over three decades innovating new solutions and perfecting existing ones to provide remarkable functionality and capability within the RCM space,” concludes Dudley.